I tried my hand at wood carving. Given the time of year I figured a pumpkin was in order. 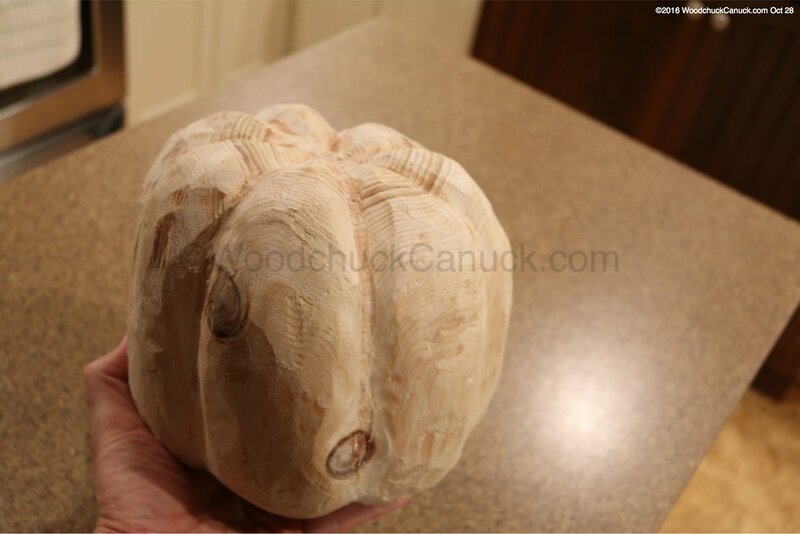 It was also my first time using the Arbortech power carving tools. Have fun this Halloween by scaring the bejeepers out of your guest as they walk up to your house! 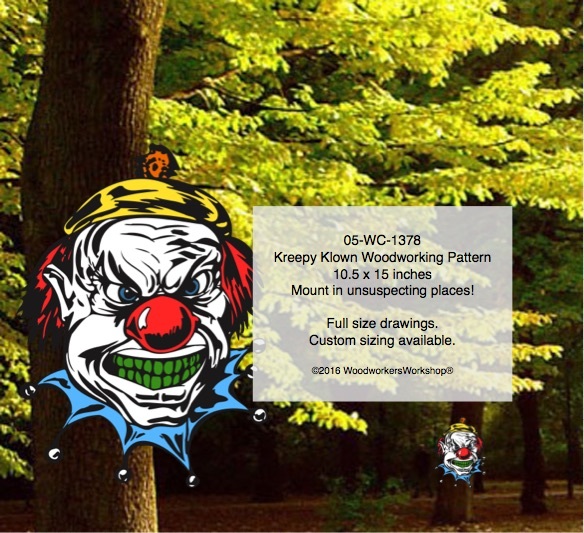 Here is our newest Halloween pattern added to the online store. 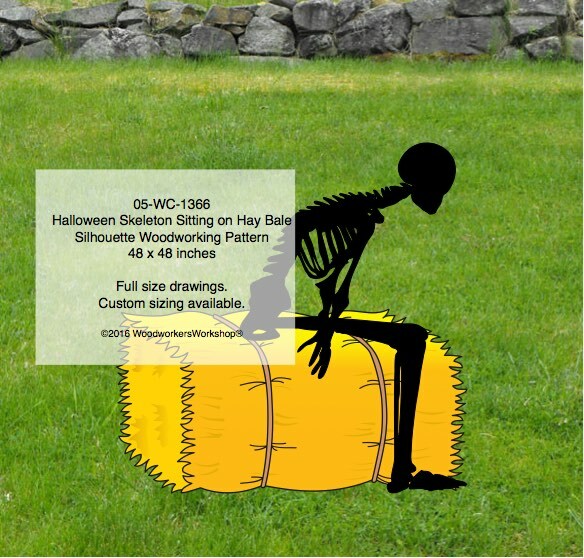 The skeleton pattern drawings are full size, and also includes the bale of hay. 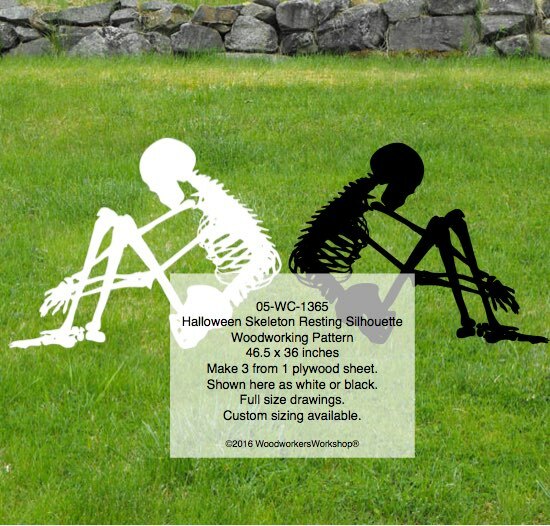 Our Halloween resting skeleton is sized so that you could cut 3 from one full sheet of plywood. A fun way to decorate the yard, lean it against a door, fence post or tree. Personalize your yard art by painting it however you like. Custom sizing available. 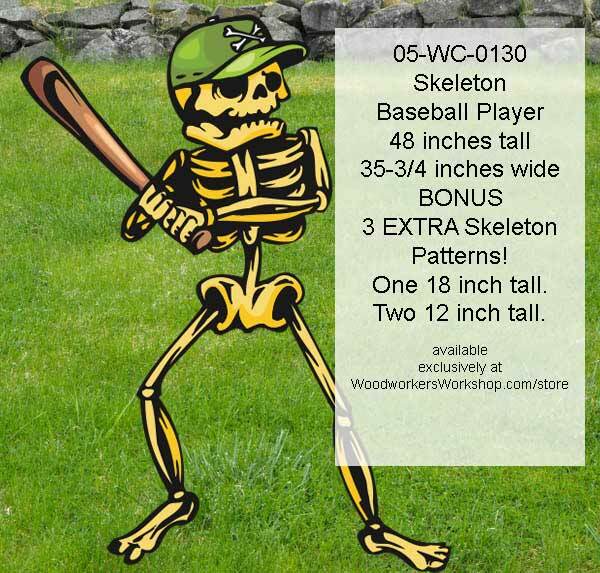 A new Halloween project added to our store today, the Baseball Player Skeleton. 3 bonus patterns included that you could also cut from wood or scissor cut the paper patterns and stick them on the wall or window! Available in both PDF and paper version. Its bad enough to steer clear of black cats, but when any cat has its back arched up and claws out like our Black Attack Cat… WATCH OUT! 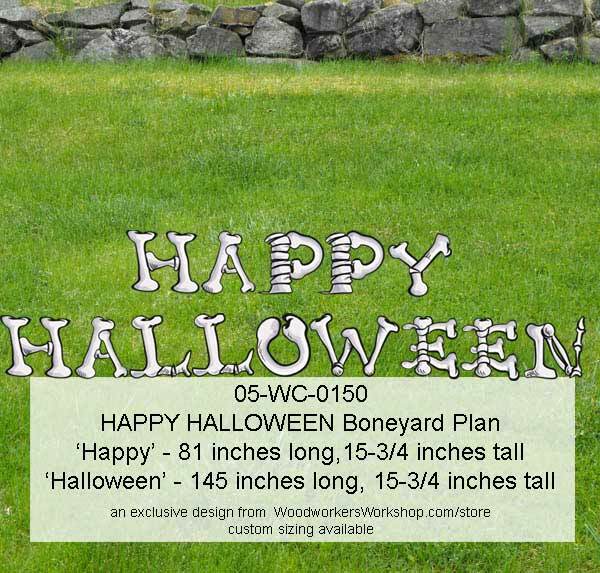 Make your Halloween yard are project in the size given or resize and print to whatever you need. Beginner skill level. Boo Ghost and Batty Bats offer up a frightfully easy pattern you can download and get busy in the workshop for your next Halloween yard art plywood project. Beginner skill level.